Guys! Let’s talk about the latest Nishat Linen winter sale 2019 upto 50% off on all products. As we all know that Nishat Linen is one of the leading fashion brands in Pakistan. Who is getting more popularity day by day among Pakistani women? Furthermore, as we know that Pakistani women are always like to purchase something from sales. Therefore, today we are going to share 3rd most popular annual winter sale by Nishat Linen 2019. Nishat Linen winter sale 2019 was started from 25th January 2019. 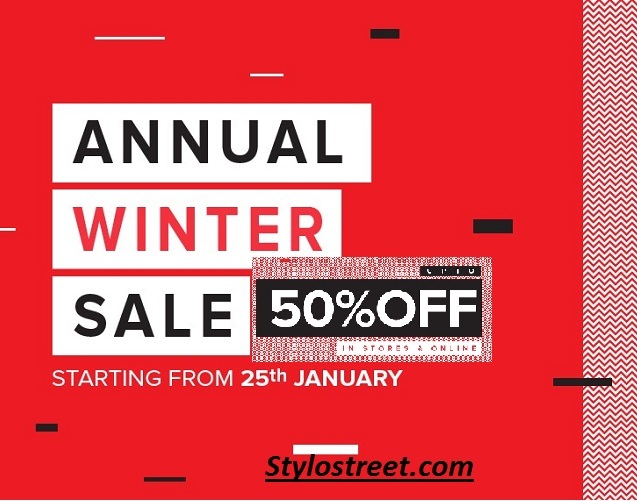 Due to, brand popularity among fashionable and trendy women, this winter sale collection 2019 is going to show beautiful embroidered, lawn, silk, chiffon, shirts and ready to wear dresses for women. Nishat Linen winter sale 2019 is only valid at winter collection for women, here you will find 20% off on Naqsh Collection, 30% off on Handbags and upto 40% off on Pack suits for women. Today visit your nearest Nishat Linen shop or get dresses through Online official website of Nishat Linen 2019 Sale. In addition, if your order among above PKR:1500/- then free shipping & Delivery service is available. You can see all winter Nishat Linen sale collection 2019 here.